The farming communities of Den Amstel and Fellowship are in excitement mainly because their constant flooding issues will soon be alleviated. 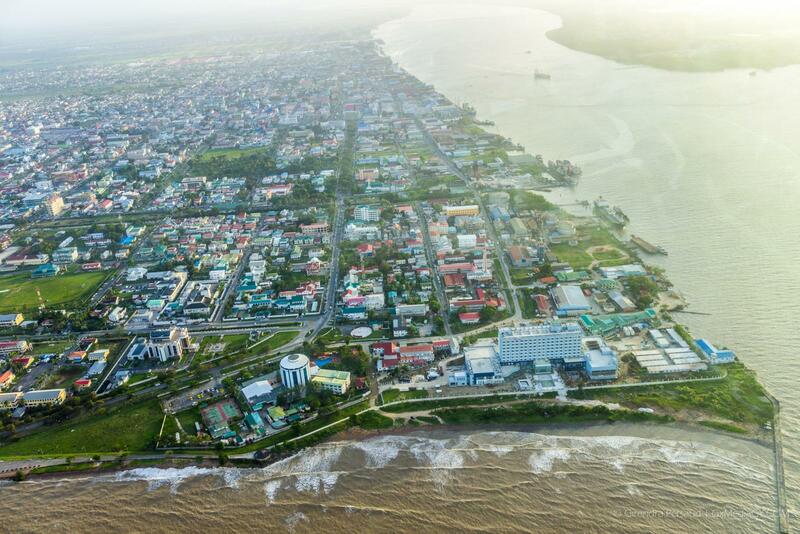 The Government of Guyana has awarded a $230M contract to JR Ranch Inc. J/V GSK Excavation Services Joint Venture to construct a pump station in Den Amstel. At a meeting held on Thursday, January 17, 2019 in the boardroom of the Hague/Blankenburg Neighbourhood Democratic Council (NDC), Senior Engineer from National Drainage and Irrigation Authority (NDIA), Lall Piterahdaue briefed Regional Executive Officer (REO), Jennifer Ferreira-Dougall and NDC Chairman Kenton Hillman on the project and its details. The meeting also included representatives from Innovative Engineering Consultancy Services, Department of Sea Defence – Ministry of Public Infrastructure (MOPI) and the contractor. Regional officials along with NDIA at the meeting at the NDC office. [In the photo] Regional Executive Officer (REO) Jennifer Ferreira Dougall (centre) flanked by NDIA officials and other stakeholders. “The works to be done include earthworks, structural works, pump station superstructure, installation of pump and ancillary works, construction of SSP revetment, construction of RC pipe culvert, landscaping and roadworks, placement of fuel tanks and delivery system, auxiliary work, rehabilitation of sluice, electrical works to pump station and provisional works,” remarked Lall Piterahdaue. 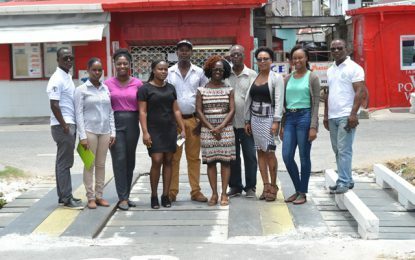 At the request of the REO, the contractor has agreed to employ young able-bodied skill, semi-skilled and unskilled workers from the community to create employment for the 12-month duration of the project. Funded under the Indian Line of Credit facilities, the 100 cubic feet per second (cu.sec) pump was sourced from India through public tendering at a cost of $41.6M (US$208,000). Apollo International Limited is responsible for the delivery of the pump. NDC Chairman, Kenton Hillman, representing the farming community, noted that the project was long overdue and welcomed it primarily because the communities have suffered for years from flooding. “This is a welcomed project and I am certain that the entire NDC will give its blessings. Farmers have suffered for years and finally, we see improvement. Loss of crop, loss of livestock, and damage to property among many other issues were faced by not only farmers but residents also due to flooding. Even happier am I to know that persons from the community will be employed by the contractor,” said Kenton Hillman. Assurance was also given to the Regional Officials that persons from the community will be trained to work at the complex upon its completion and NDIA will continue to provide the resources to ensure that the complex serves its purpose as all other pump stations have been doing.